I am goal-oriented, dedicated to providing high levels of customer satisfaction, and meeting aggressive business goals. I am intelligent and ambitious with a positive attitude; eager to take on knew challenges. I enjoy learning new things, excel at jobs given to me and often exceed my goals. 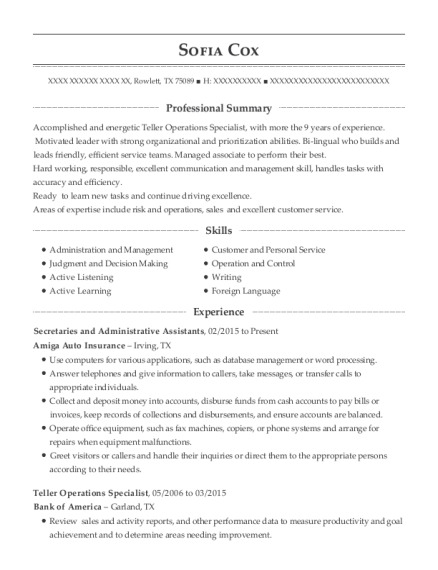 I believe that I would make a positive and valuable addition to your company. Maintain and enter information into databases. Electronic and paper filing, data entry, and invoicing. Inform farmers of crop progress. Operate tractors and tractor-drawn machinery to plow, harrow and fertilize soil, or to plant, cultivate, spray and harvest crops. Load agricultural products into trucks, and drive trucks to storage facilities. Prepare documentation of crop inventories, invoice customers, and track employee time cars and wages. 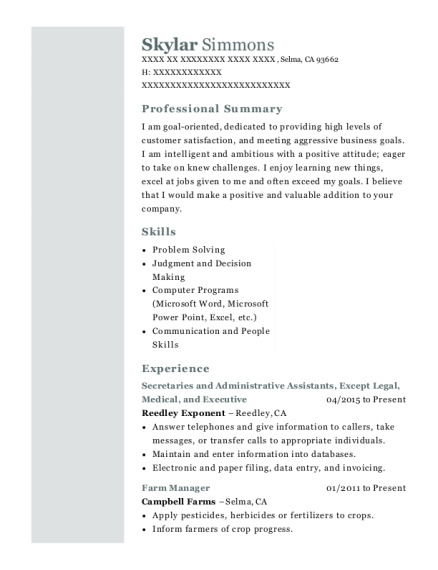 This is a resume for a Secretaries and Administrative Assistants in Selma, California with experience working for such companies as Reedley Exponent and Campbell Farms. 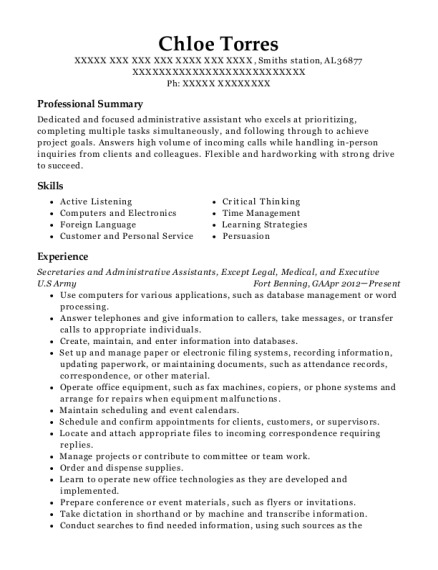 The grade for this resume is 0 and is one of hundreds of Secretaries and Administrative Assistants resumes available on our site for free. 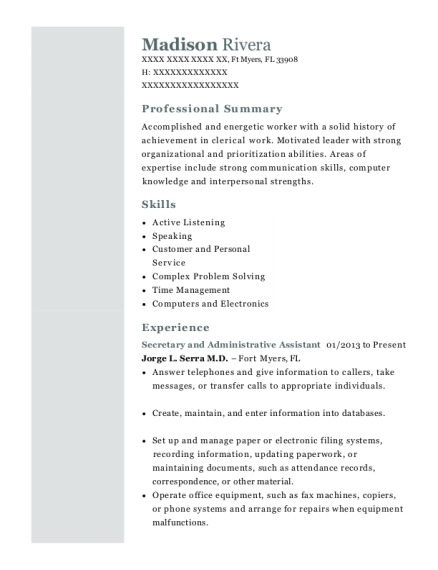 Use these resumes as templates to get help creating the best Secretaries and Administrative Assistants resume.